10 Foods True Nebraskans Crave - Huskers Etc. Nebraska may not be known for a lot of things, beside the Cornhuskers, but they are known for a few mouth-watering foods. See how many you have tried?! 1.4 What’s your favorite food that Nebraska is known for? In 1957, Val and Zena Weiler opened the first Valentino’s at 35th and Holdrege streets in Lincoln and sold to Tony and Ron Messineo in 1972. Today, Valentino’s has expanded to 35 restaurant locations in four different states. I’m not sure if Memorial Stadium counts as a restaurant location, but I know that I can’t go to a Husker football game without getting a slice of Valentino’s pizza there. And pizza is my favorite food, so it gets the #1 spot. Growing up, I thought all hotdogs were red! I guess my mom always bought Wimmer’s hotdogs (parent company of Fairbury), but after meeting non-Nebraskans (and having family and friends out-of-state), I soon learned that red dye in hotdogs is exclusive to the Husker Nation. And the best place to get a red hotdog? 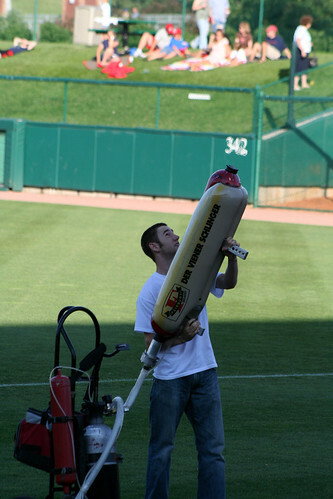 From Der Viener Schlinger, the pressurized hot dog cannon that shoots hotdogs into the crowd during Husker games. In 1949, Sarah “Sally” Everett and her brother, Alex Brening, opened the first Runza Drive-Inn in Lincoln serving runzas, a doughy sandwich pastry filled with ground beef, onion, and cabbage. 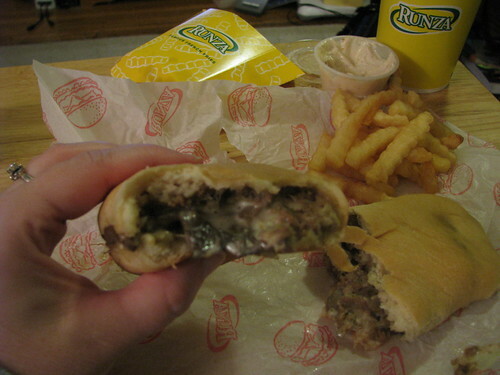 Today, there are almost 100 Runza locations, with a few in neighboring Nebraska states. I believe one can buy Runzas as Husker football games, too? In the late 1940s, Dorothy Lynch (yes, there really is a Dorothy Lynch) and her husband ran a restaurant in St. Paul, where the original recipe was born. In 1964, Tasty-Toppings, Inc. purchased the recipe and rights and currently produce every bottle right in Duncan, Nebraska. Now I’m not sure if one can experience this at a Husker game? You can buy Dorothy Lynch home style dressing online now! 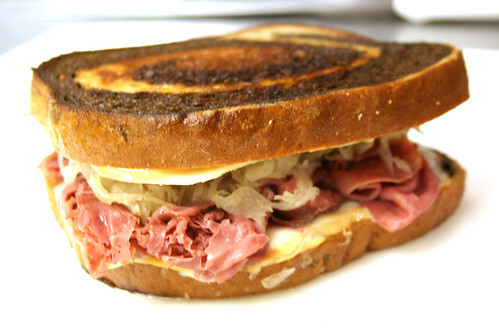 Reuben Kulakofsky, a Lithuanian-born grocer that resided Omaha from 1920-1935, invented this lunch menu item made with corned beef, sauerkraut and Swiss cheese on rye bread, and its fame spread when a national contest was held. Edwin E. Perkins, the son of a grocer, came up with his first entrepreneurial idea back in 1900 when he was only 11 years old. Perkins Products eventually sold more than 125 products including Nix-O-Tine, a remedy for the tobacco habit. 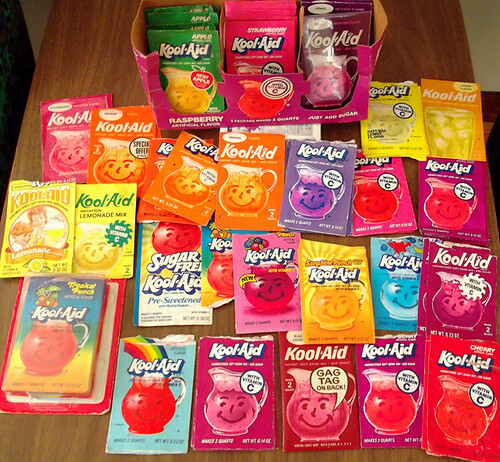 Kool-Aid was born in 1927 in Hastings with six original flavors: raspberry, cherry, grape, lemon, orange and root-beer. What happened to root-beer? My favorite flavor was Rainbow Punch. I used to save all of the Kool-Aid points to send in for premium items. I still have my Kool-Aid Barbie as part of my Barbie collection. These are my absolute favorite candies in the whole wide world. Made in Greenwood, Nebraska, these “meltaways” seriously just melt in your mouth when they touch your tongue. Oh my goodness, and their website shows they now make caramel candies. My mouth is watering. 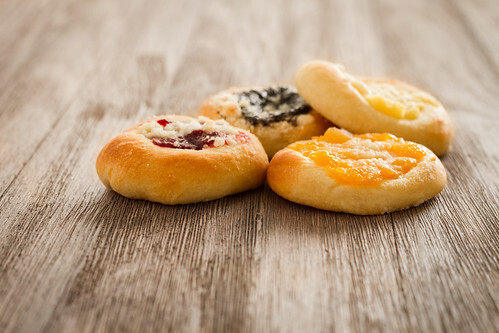 With several Nebraska settlers being of Czech/Bohemian origin (such as myself, my maiden name is Synovec), I should know more about kolaches than I do. I just know that they are a pastry with a fruit center and are super yummy. Verdigre touts itself as the Kolach Capital of the world having a “Kolach Days” celebration every year, and Prague is home of the world’s largest kolache. Well, we are the CORNhuskers! 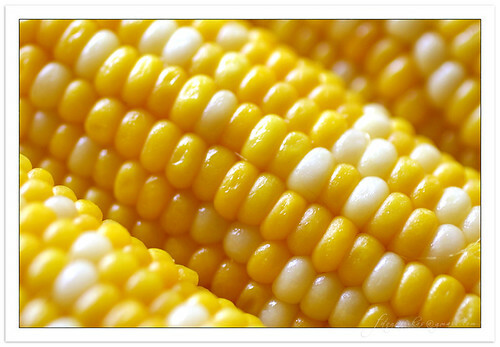 In 2010, nearly 9.2 million acres were planted with corn that produced nearly 1.5 billion bushels. That ranked Nebraska third in the nation for corn production. Okay, so only a small percentage of that is actually edible sweet corn; the majority of corn is grown for livestock and ethanol. Once you have a steak from Nebraska, another steak from somewhere else will not taste near as good, I promise. 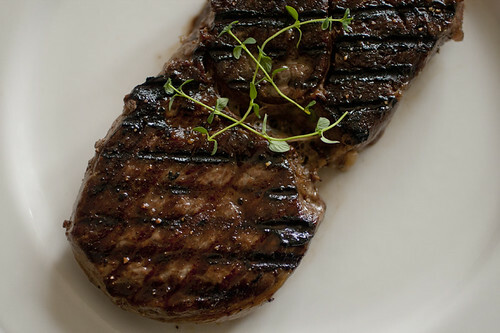 Why do you think OmahaSteaks.com is one of America’s largest marketers of beef? This “mystery meat” product was introduced by Hormel in 1937 and was widely distributed to soldiers overseas during World War II since fresh meat was difficult to deliver. Spam is produced in Fremont by Hormel, the largest employer in that town. Okay, maybe nobody actually craves Spam. If you do, please don’t admit it. Did you know that the Nebraska’s state insect is the honeybee? I also have a few friends that are beekeepers. Those two facts alone let honey make the list. Did you know that you should buy local honey as it contains the immunities you need to fights off colds in your region. If you buy honey just for the taste, then you buy honey online. Last but least, the local meat locker in my hometown of Pierce, Nebraska, makes these incredible hotdog concoctions that I still eat and love even after hearing that their casings are made with sheep intestines. Named after the locker owner, Terry Wragge, these dogs are good boiled or grilled or even cold. What’s your favorite food that Nebraska is known for? Kim spends way too much time blogging about all her passions, one of them being the Nebraska Cornhuskers. Follow Kim's Personal Accounts on Google+ and Twitter. And see all of Kim's blogs listed at KIMarketing.com. Well the Bean dip and chips at Michael’s Cantina is pretty addicting………made in Nebraska since 1977.